Furnish ______Rockford Model RPD-______ enamel- coated steel interceptors for on-the-floor installation with ______" inlet and outlet, with ______ g.p.m. rating and ______ lb. grease capacity. 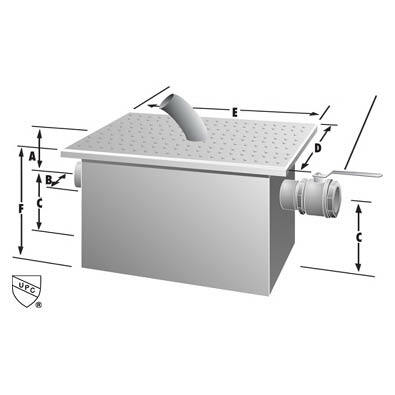 Removable thread plate cover with draw-off hood and flexible hose secured with stainless flathead screws with heavy-duty gasket, shut-off valve, flow control fitting and draw-off plug. These are semi-automatic draw-off grease interceptors.